Ocean exploration is all about making new discoveries. But sometimes the most fascinating findings of things of all is when things are rediscovered. The USS Monitor was a civil war ironclad warship that sank in 1862. Sixteen lives were lost. It stayed there unseen and untouched for 100 years until it was rediscovered in 1973. As an important piece of US history, the Monitor’s protection and management were entrusted to NOAA, as it was designated the first national marine sanctuary in 1975. NOAA and its partners began conducting expeditions to the Monitor in 1977. Through the combined efforts of submersible vehicles, scientific and salvage divers, and new salvage technology, the entirety of the Monitor wreck site was mapped and documented. Both minor and major artifacts were recovered. Those major artifacts included the ship’s anchor, propeller, and turret. 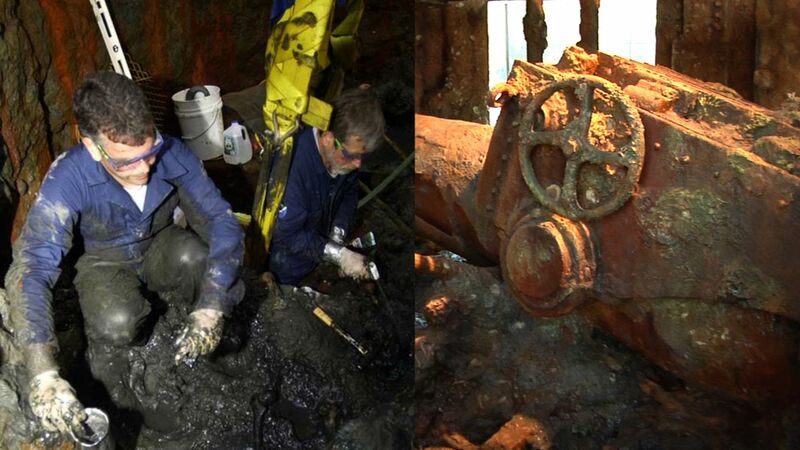 As researchers were digging through the sediment in the turret, they made an amazing discovery. Buried within were the skeletal remains of two of the Monitor’s crew. The sediment has preserved the bones, protecting them from the harsh ocean environment. Exhaustive efforts were made to identify who these sailors may have been, but an exact identification could not be determined. And on March 8, 2013, the remains of the two sailors were laid to rest in Arlington National Cemetery will full military honors. There are an estimated three million shipwrecks on the ocean’s floor, each with its own mysteries and stories just waiting to be discovered. But it’s important that we take the proper steps to preserve and protect these artifacts as vital glimpses into our maritime history. The Joint POW/MIA Accounting Command conducts global search, recovery and laboratory operations to identify unaccounted-for Americans from past conflicts in order to support the Department of Defense’s personnel accounting efforts. Monitor National Marine Sanctuary is the site of the wreck of the USS Monitor, one of the most famous shipwrecks in U.S. history. It was designated as the country's first national marine sanctuary on January 30, 1975, and is the only one of the thirteen national marine sanctuaries created to protect a cultural resource rather than a natural resource.